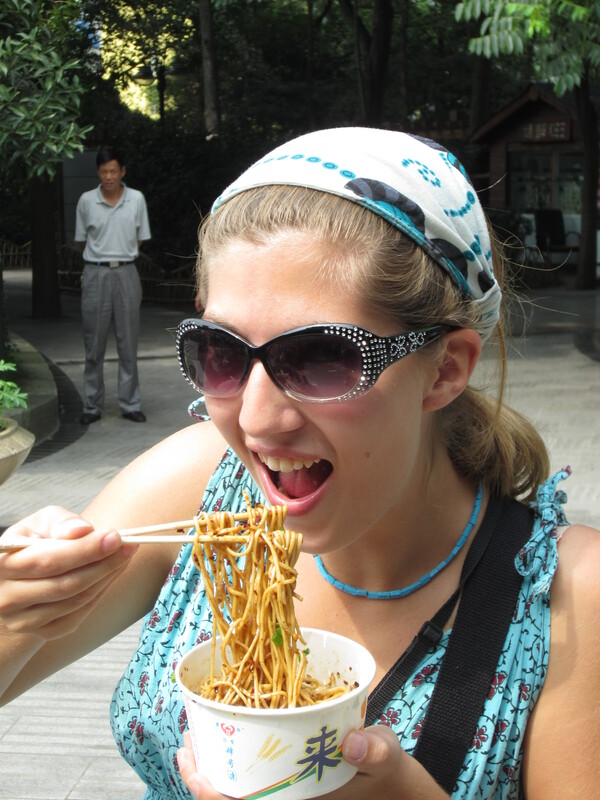 Before arriving in China, the two things I was worried about most were the language barrier and food. We’ve all heard the stories. 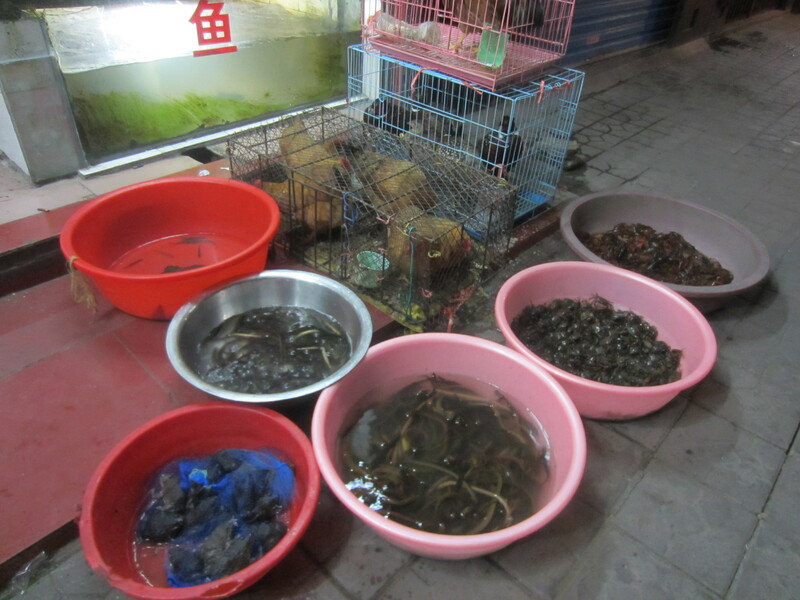 Dogs, monkeys, frogs, bugs, the Chinese have developed a bit of a reputation for their adventurous eating habits. This, plus the extremely limited communication between the Chinese and non-Chinese speakers had me seriously worried that I’d find something very undesirable on my plate. Even in the United States I’ve never been a huge fan of Chinese food and frankly, the Chinese food in Malaysia was by far my least favorite among the options. But to my delightful surprise, the Chinese food from China was SOME OF THE BEST FOOD I’VE EVER EATEN. In fact, aside from Thailand, China was the only other Asian country where I continually sought out local food for the entire duration of my trip, instead of the usual “I need pizza and pasta” cravings I usually get after a few days. And, also to China’s credit, I only got food poisoning on two occasions, which is not bad considering my track record and the fact that I spent two months there. I will say, however, that unless you really love bones, avoid the chicken. After initial experiences picking the stringy and unappetizing chicken pieces off the bones (the Chinese believe it tastes better that way), I soon gave up and decided to stick to beef or pork for the remainder of the trip. 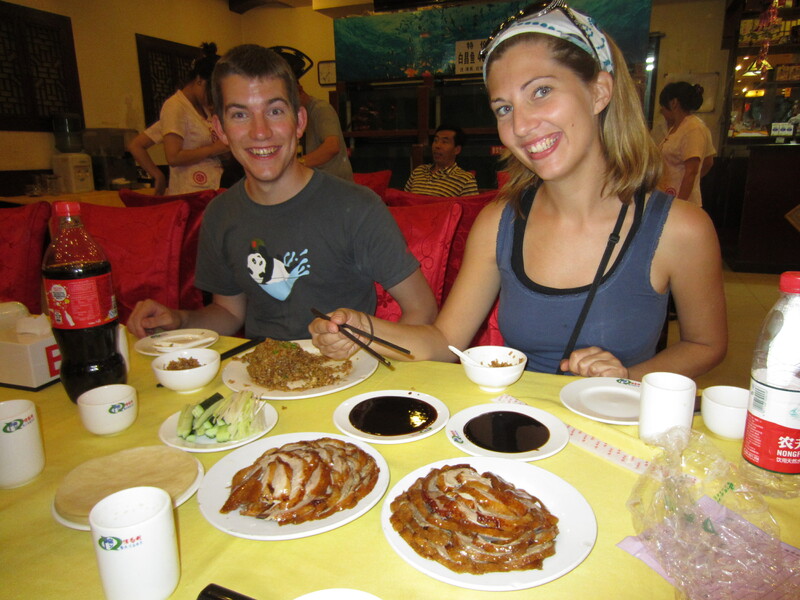 Below is a list of the best and/or most interesting food experiences I had in China. Another Cantonese specialty, dim sum is the original Sunday brunch where family and friends get together to share a series of small, often steamed, dishes. 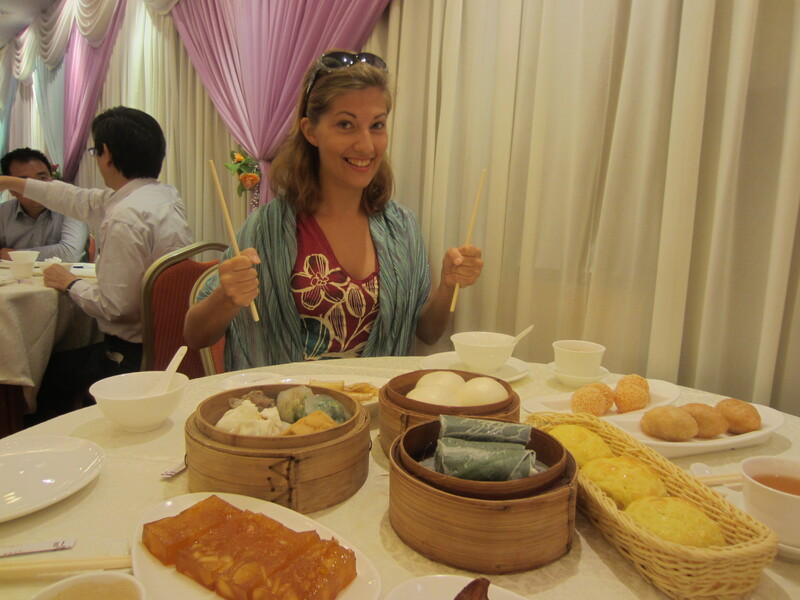 My lovely friend Althea and her mother took me out for dim sum while I was in Hong Kong, and we had a great time. Though her tricksy mother did try to sneak in some shrimp-filled dishes despite my strict no-seafood diet. Ivy shows off my surprise chicken head! In China, they like all parts of their meat, and I mean, all parts. But for some reason, the discovery of the chicken head inside our steamed chicken at Grandma’s Kitchen in Hangzhou still surprised me, and I did a little jump in my seat before bursting out laughing at my own squeamishness. 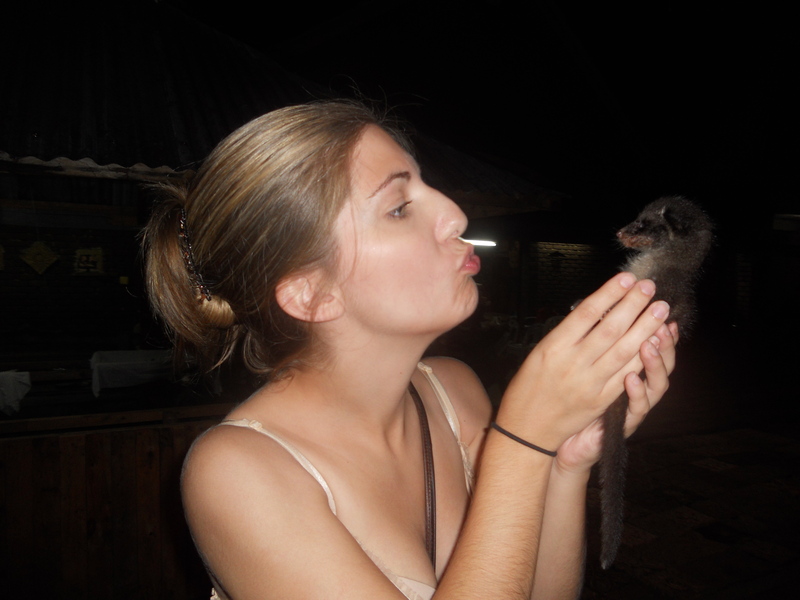 I think my host, Ivy, was a little freaked out, but she was still a good sport :). Peking duck in Beijing after a long day visiting the Great Wall! 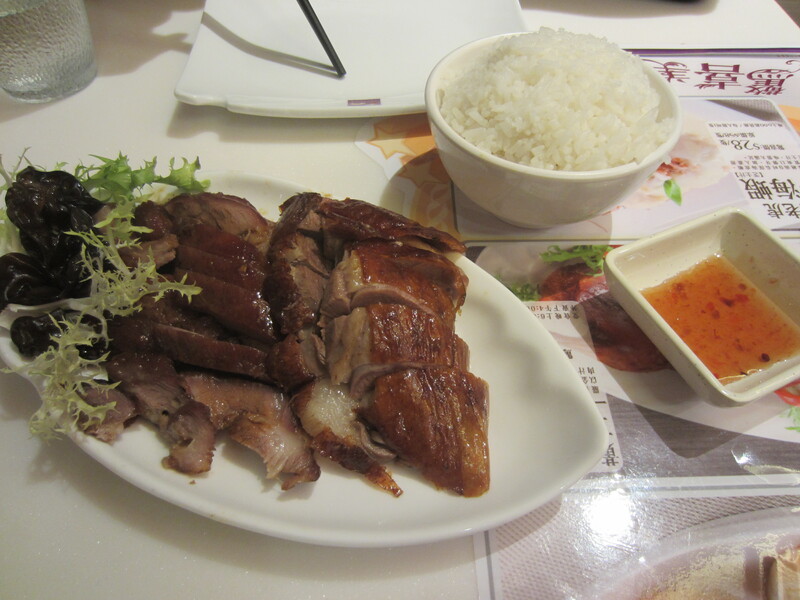 THE dish of Beijing, my picky self was fairly confident that I would not be a fan of the Peking Duck. Gotta say, though, add in a tortilla and some plum sauce, and the stuff is pretty good and a wonderful ending to a long trek on the Great Wall :). Local Sichuan food while having dinner with my host in Leshan. Also spelled “Szechuan,” Sichuan food is known for its spicy, bold flavors. The region is famous for its food, which is often full of garlic, chillis, ginger and oil. I don’t really know the details of what I ate, I would just point to things and enjoy :). You either love it or hate it, and I definitely loved it! 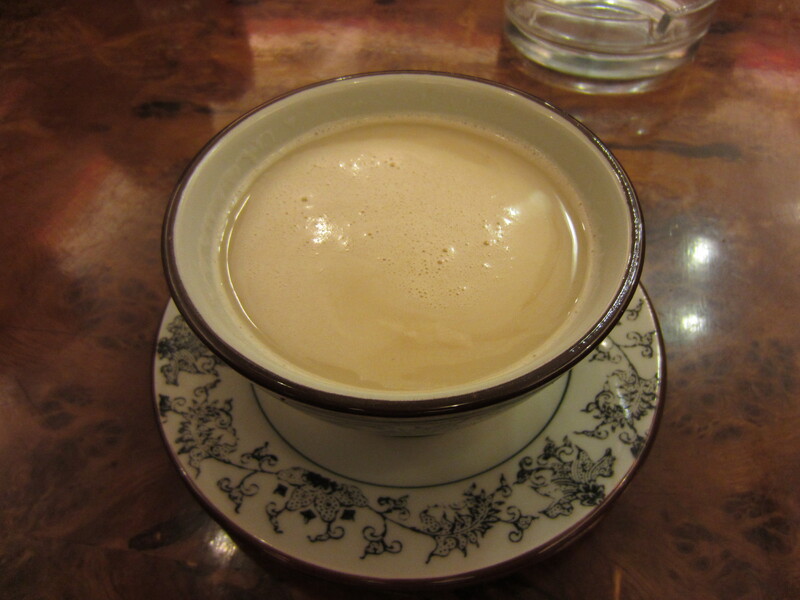 Consumed throughout the day by Tibetans, butter tea is essentially yak butter melted into tea. It was thick and salty and had an overall warming effect, much appreciated when up in the mountains. I thought it tasted like liquid brie! 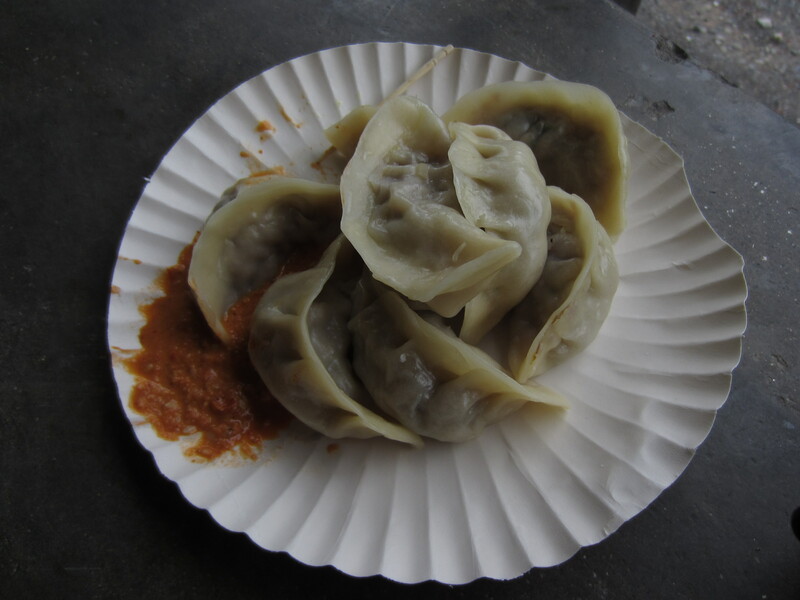 Though technically dumplings themselves, momos are a Tibetan style of dumpling which seemed to me to just be extra delicious. Dumplings all over China were amazing, though you can find momos in Nepal, northern India and other nearby regions as well. Pictured here are the best I found: homemade, road side steamed momos stuffed with chicken and vegetables discovered outside a temple in Nepal (ok, so technically not China, but you get the drift :)). 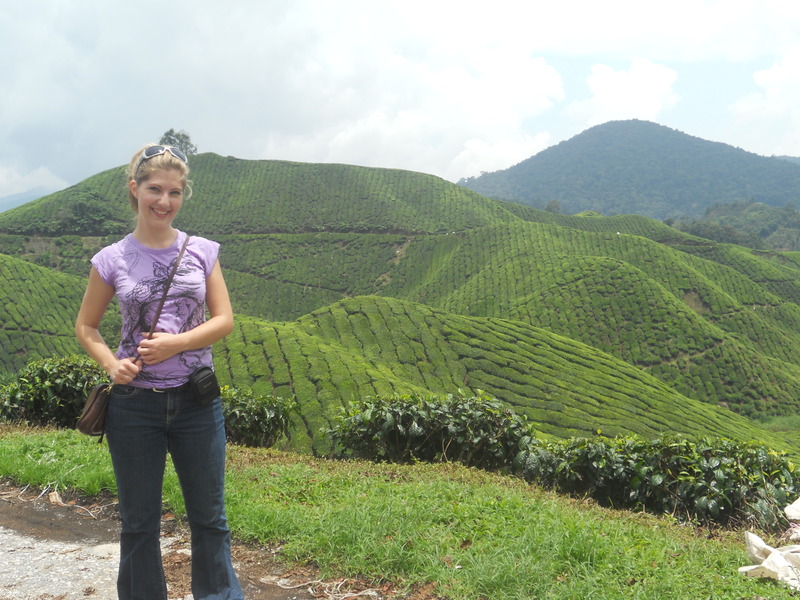 Though I am no tea connoisseur (yet ;)), I love tea! While green tea might be China’s most famous, I think my favorite Chinese tea is the ginseng oolong, a light tea that leaves a deliciously sweet after taste. 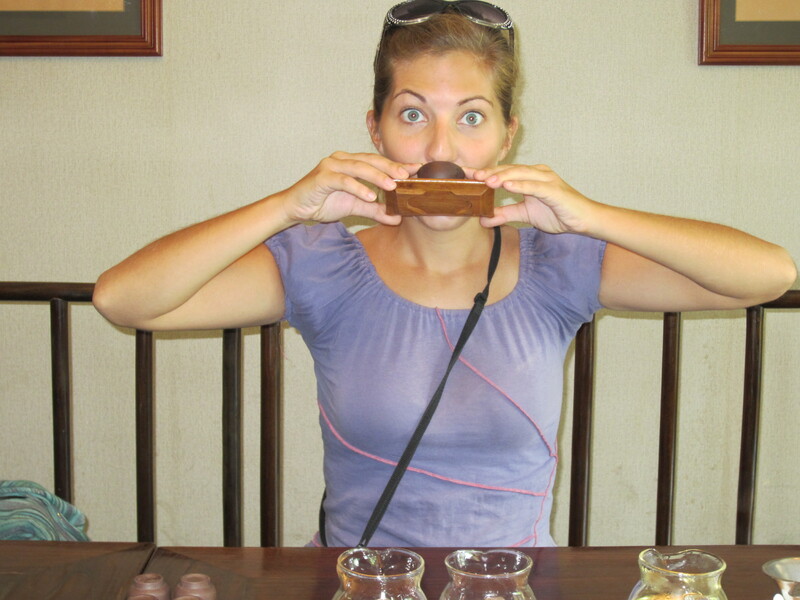 This photo was taken while tea tasting at the China National Tea Museum in Hangzhou, situated amongst its famous green tea fields. 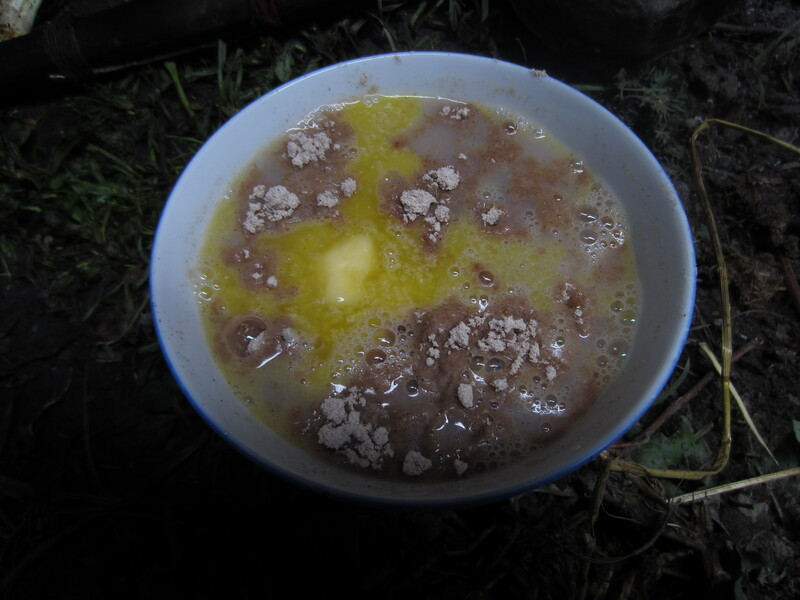 A Tibetan staple, tsampa is a simple meal made of mostly barley flour and butter tea. It wasn’t particularly tasty, but definitely gives the body what it needs when trying to stay warm up in the mountains! Delicious street noodles in Chengdu! Whether it be in a restaurant or on the street, you can never go wrong with Chinese noodles! 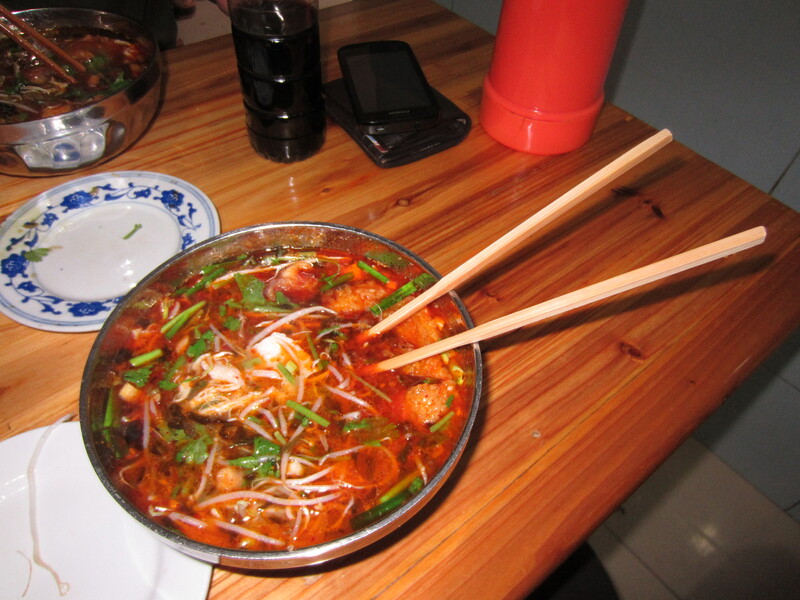 These spicy Sichuan ones here cost about $1 in Chengdu and made for one happy girl!